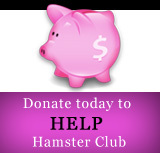 Syrian Hamsters live up to 2 years � even though there have been some cases in which they lived up to 3 years. 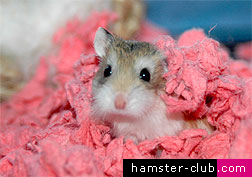 Dwarf hamsters live for about 1 and a half to 2 years while Roborovski Hamsters live up to 3 years. Chinese hamsters live approximately from 2 to 3 years. How do you know that the female hamster is pregnant? When the female hamster is pregnant, she will start to build a nest and during the last two days, the hamster will gain weight in her stomach area which will become very noticeable. 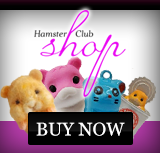 Some female pregnant hamsters may become more aggressive as their delivery due date approaches. No, you should never bath your hamster. Hamsters keep themselves clean and wash themselves regularly. Never bath your hamster, as it can catch a cold. My hamster escaped! What can I do? Close all the windows and doors and put some hamster food and some vegetables on the floor. Be always on the lookout when you walk, as you may not see your hamster and hurt it. If the hamster is hungry, it will certainly come out for the food. Look in every possible area where the hamster might be, including: under the bed, under the dresser, behind the toilet and bidet, behind cupboards etc. Also you can place its cage (open) on the floor; usually if the hamster sees the cage, the hamster will go in it. Or else you may opt for the hamster bucket system. Place a bucket with a stand for the hamster to climb into � and place some hamster food and vegetables in the bucket. When the hamster reaches the top, he will go smell the food, fall into the bucket and will be unable to climb up again. The only problem is that the hamster could get injured when it falls into the bucket, so pile up lots of soft bedding for a soft landing. Once the hamster is found, as a precaution, make sure that you apply pipe cleaners or twist ties to the hamster's cage doors. Hamsters know very well how to open cage doors, thus applying pipe cleaners or twist ties to the hamster's cage doors, will ensure that the cage is locked well. How can I tame my hamster? When bringing your new hamster home, give it some time for it to get used to its new cage � leave the hamster alone with plenty of fresh water and hamster food so that your hamster can get used to the area, smells and sounds. After some days, try giving the hamster some food from your hand and after some time, you will notice that the hamster will get used to you. Try to handle it gently too � if the hamster is afraid, put it back in the cage and allow it some more time for it to get used to you. The more gently you handle your hamster, the more your hamster will get used to you. All this will take days or even months! Patience is an important factor. Why doesn�t my hamster sleep during the night? Hamsters do not sleep during the night as they are nocturnal animals i.e: they sleep during the day and wake up during the night. How often should I feed and give water to my hamster? The hamster's food bowl should be refilled frequently and any uneaten fruit should not be kept but should be disposed off. The hamster's water should be changed daily. Is hamster potty training possible? Hamster potty training is possible. Buy a hamster potty from a pet store or you can make a homemade hamster potty. Then choose the corner spot where usually the hamster pees. When the potty is in place, the potty training can begin. Cover the bottom of the potty with litter and add some urine-soaked bedding along with a few droppings. Click here to read more. I need to travel by plane with my pet hamster. What should I do? Definitely having your hamster to travel in a cage at your feet would be the best for your hamster. So, cabin class is the way you should choose. Airlines may require you to have an approved carrier for your hamster and maybe even a pet medical certificate. Get the specific guidelines ahead of time, get them in writing and make sure you follow them to the letter. Click here to read more. My hamster died. What should I do? Burial at home or cremation are the two options when dealing with the disposal of a dead hamster. Some hamster owners prefer to keep the bodies of their hamsters and to bury them at home in the garden or in a small pot. The hamster’s dead body can be wrapped in cloth or placed in a homemade coffin fashioned from cardboard packaging. Never bury your dead hamster wrapped in plastic because this delays decomposition of the body after burial. Click here to read more.